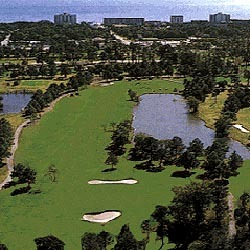 Azalea Sands, "6902 yards of pure golfing pleasure" is located just minutes away from any part of the Grand Strand. The course maintenance personnel take pride in their ability to keep Azalea Sands at the optimum playing condition year round. This facility has long been a favorite with golfers visiting the Myrtle Beach area. A great course for the average player and one you will enjoy playing year after year. A real test from the back tee's as well.